Highly distinguished company manufactures and supplies reliable and high performing Aluminum Spacers, which successfully cater various industries and available at customers leading prices to ensure maximum satisfaction. For core winding, these products are applicable in all type of core winding in welding machines for permanent protection of wire is coil. 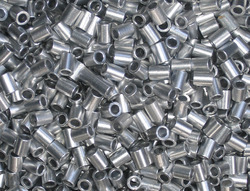 Being a leading enterprise of this industry, we are offering a huge range of Aluminium Spacer. Our team of highly skilled professionals has assisted us in being proclaimed a leading manufacturer and supplier of an exclusive gamut of Aluminum Disc Spacer offered in varied technical specifications in order to meet the specific requirements of our clients, the disc spacer is fabricated using premium quality raw materials. Backed by rich industry experience, we are engaged in manufacturing a premium quality range of Aluminium Spacer. We are engaged in offering to our valued customers an extensive range of Aluminum Spacer which is developed by our skilled men by using good quality resource and modern technology for better functioning. Available in different specifications to our customers, our offered range of product is in huge demand amongst our valued customers. These are spacers which is being manufactured and supplied to our customer fisher sanmar limited for control valve assemblies. From the first day of our incorporation, we have been able to manufacture the optimum quality of Aluminium Spacers. Their optimum strength, durability, compact design, thermal stability, corrosion resistance finish and dimensional accuracy, make these aluminium spacers highly demanded. 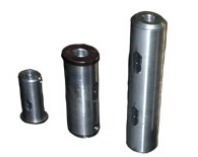 We can supply alluminium spacer in verious sizes as per customer requirement.